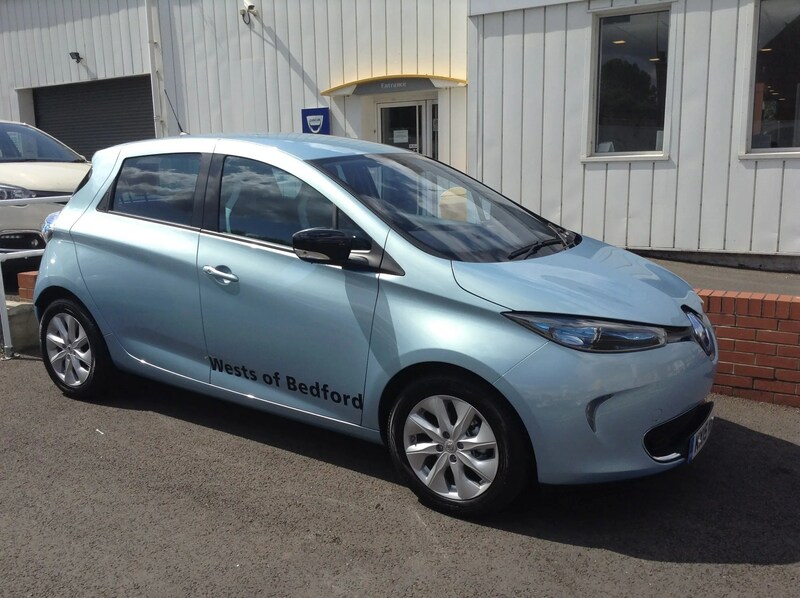 I finally got to test drive a Renault Zoe. Two years after trying out the Nissan Leaf, BMW i3, Volkswagen e-Up!, Smart Electric Drive, and Renault Twizy, I got my hands on the popular electric car that barely escaped my grasp a few times at EVS27 in Barcelona. For the most part, it was better than I expected it would be. However, there were some downsides to the vehicle that I wasn’t prepared for as well. First of all, let’s talk about the big dog — acceleration. Instant torque and the wonderful acceleration that comes with it is the first or second biggest consumer advantage of electric cars for most electric car drivers. Like I said, it has been a couple of years since I drove all of those electric cars listed above. The biggest thing that caught my attention at the time was the wonderful, quick acceleration those vehicles had, and also how smooth and quiet that acceleration was. But I was starting to wonder recently if my perception had been warped, or if I was flowering it up too much in my memory. Indeed, I did remember correctly. Electric drive rocks. I love it, and I can’t imagine anyone not loving it. Test driving the Renault Zoe, I could quickly tell that it totally kicked the butts of the Mercedes A180, Mercedes C180, and BMW 320i… and every other gasmobile I’ve ever driven. Of course, it didn’t compare to the Tesla P85D (at a price ~$100,000 lower, how could it? ), but it was much better than those three gasmobiles, the Toyota Auris Hybrid I recently drove, and also the two plug-in hybrids I’ve driven — the Outlander PHEV and the Audi A3 e-tron (which I test drove about an hour after the Zoe — review coming soon, along with more on the difference between 100% electrics and PHEVs). Bottom line: The Zoe’s acceleration was great. I didn’t keep my eye on the speedometer, but the high-quality acceleration did taper off at some point, which I think was around 30 mph. Again, it’s no P85D, but it’s often just that first 30 mph or so where quick acceleration comes in handy. We don’t typically drive on 0–60 mph race tracks. One thing that impressed me was the great visibility, particularly in the front. I’m not sure how you’re supposed to phrase this and talk about the specifics of such matters, but the bottom line is that there was a lot of glass and I could see around the car really well, which I (and many others) hugely appreciate. It makes driving much less stressful… and much safer. 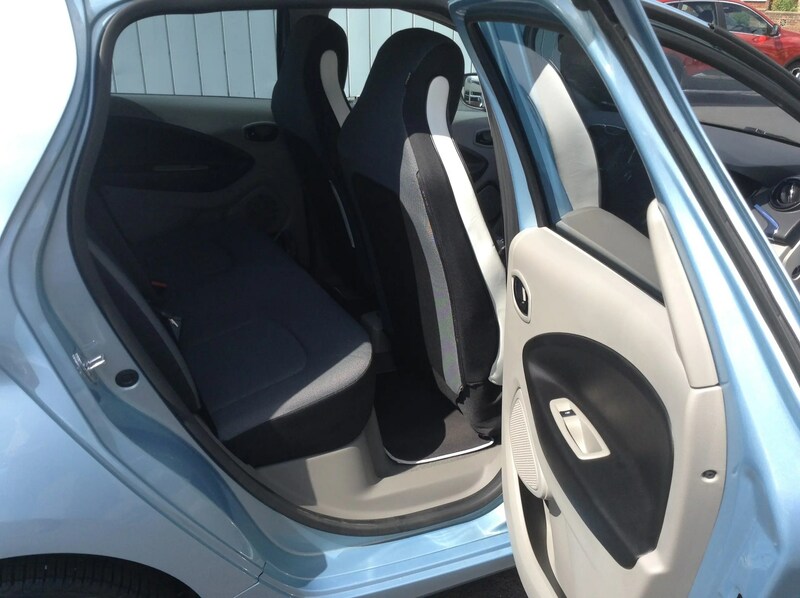 Both in the front and the back, you feel like you are sitting up quite higher, somewhat like in a crossover/CUV. The Renault sales guy pointed out that the battery sits underneath the seats, and thus bumps the humans inside up a bit. One place where Renault clearly cut some costs was in the interior materials. They are not what you’d find in a $50,000 car, but this certainly isn’t a $50,000 car. The starting price is £13,445 (~$21,000). But I’ll get to pricing matters in a minute. The steering wheel was not my favorite — it wasn’t like the thick ones I had in the Mercedes A180, Mercedes C180, BMW 320i, or Tesla Model S — but it was quite okay. Certainly good enough, I’d say. 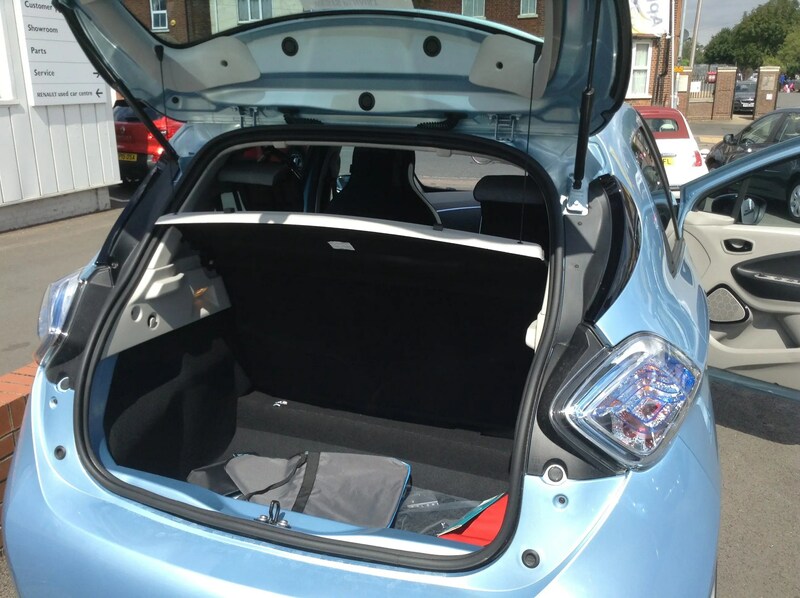 The Zoe also had a backup camera, much like the one in the Nissan Leaf or BMW i3. I don’t care for many of the extras they throw in many higher-end cars these days, but I like me a good backup camera, so it was nice to see that in this super affordable car. One more thing I found to be a really nice surprise was the comfort of the seat. I don’t know if my body was built weird, if my body design simply doesn’t match many driving seats, or what, but my lower back often gets very tired after driving for a bit. My back was quite tired from activities I was doing in the morning that put a lot of strain on it, and I was very pleasantly surprised out how comfy the seat was. For my body, it was clearly better than the Mercedes A180 I had rented as well as the slightly better Audi A3 e-tron’s seat. That’s a really important factor for me, so it just made me love the Zoe that much more. The sales guy I talked with noted that about 99% of customers got a lease (or what they call a PCP) rather the purchasing the car. Renault knocked £5,000 off the starting price with that option (but not with the purchase option). After the £5,000 UK EV grant, that brought the ~£20,000 model I was looking at down to ~£10,000 — based on mileage figures I pulled out of the air. 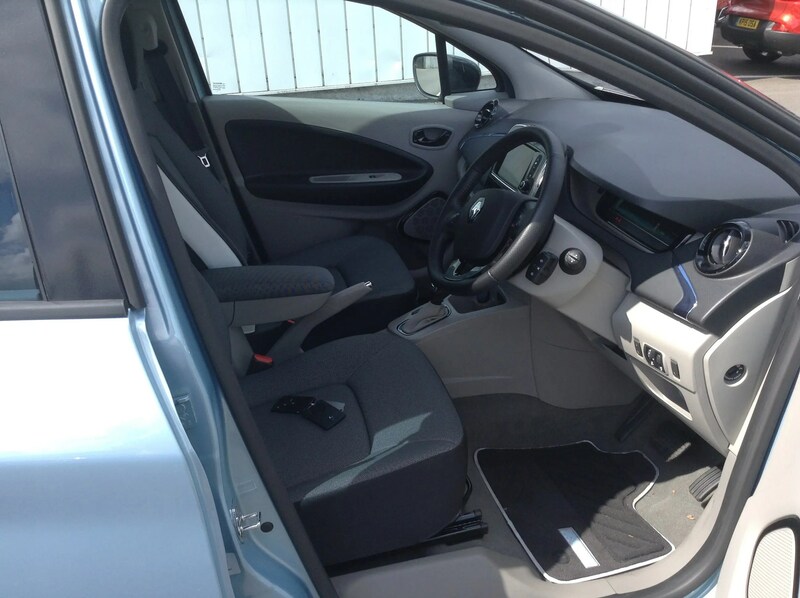 The thing is, you lease the battery as well, and the price of that depends on how many miles you intend to drive. (Go over your mileage, on average across the term of your lease, and you end up paying much more per mile — just like what happens if you use your phone beyond the minutes in your monthly phone plan.) Of course, the monthly payments are also lower if you put more money down up front, but either way, the total I came to was a bit less than £10,000 (+ ~£70–90 a month for the battery) after the UK and Renault incentives. The car sells pretty well in the UK. I doesn’t match the Leaf, however. Aside from the car, I was curious how well the salesman would sell the car. He said almost right off the bat that he wasn’t super knowledgeable about the car, and that I probably knew more since I was an electric car fan (I told him that off the bat too). However, I found that he knew quite a lot, and certainly more than me about the three Zoe trims they sell. He seemed to know the answer of every question I had. He was proactive when showing me the car too, had a positive attitude about it, and didn’t try to steer me elsewhere. He didn’t come across as an EV fanatic, unfortunately, but he maintained a positive attitude about the car and its competitiveness throughout. I found out from him that the Zoe actually sells quite well there. This small salon moves about 8–9 of them out each month. It would have been cool if he was really into the technology, but as things go, he was more positive and knowledgable than I expected, so that’s a + for Renault. Visual taste is, of course, a highly subjective matter — despite many people talking about how “beautiful” or “ugly” cars are as if it’s a matter of fact. Personally, I love how the Zoe looks. The sales guy and I talked a bit, via my prompting, about what made buyers choose a Zoe over a Leaf, and it turned out the look was a big reason. 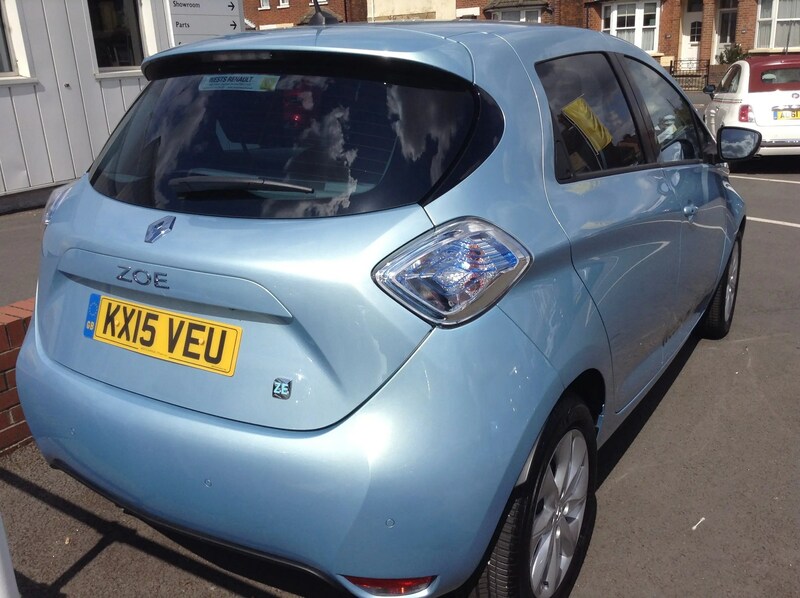 I actually like the look of the Leaf quite a bit, but I do prefer the Zoe. 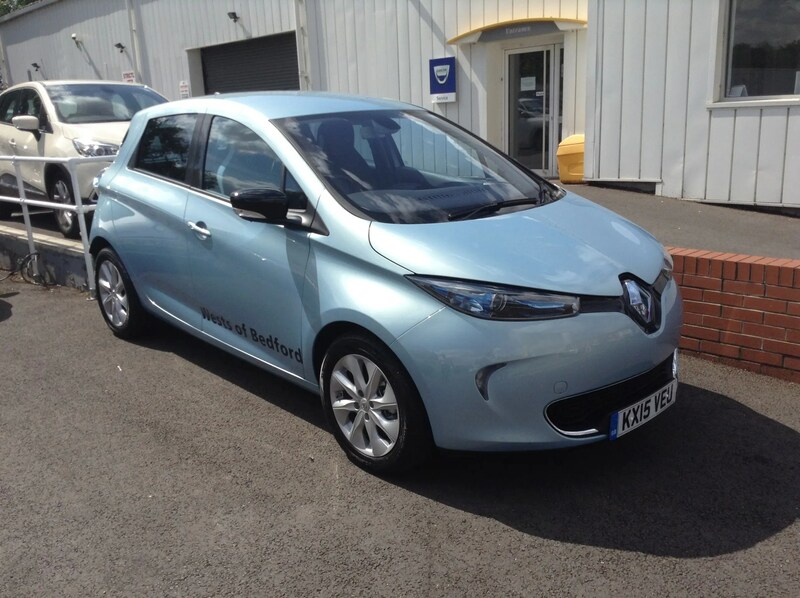 Other benefits over the Leaf, by the way, were reportedly a bit more range in real-world driving, and that the Zoe came with a single charging cable that provided various charging options whereas you’d have to get an extra charging cable for the Leaf to have the same capability. I’d have to check out a Leaf again, and see pricing in the UK, to make a decision between these two vehicle. At the moment, though, I’m actually leaning toward the Zoe.